This playful website is for a former teacher who now presents storytelling programs for preschool, kindergarten, and first and second grades. Barbara Ann needed help with everything related to setting up her business and website, including branding. We both love the dandelions I chose as a central motif used throughout her website. A lot of fun! Working with Murphy was a delight. 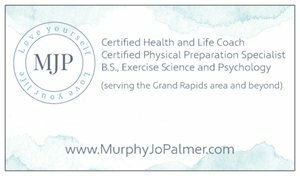 She recently earned her dual degree in both Life and Health Coaching. She was starting her new business while planning her wedding! She asked for help with everything from web design to branding to copy writing. And she wanted to be coached through the entire process of purchasing her domain, setting up MailChimp for her email list and newsletter, and more. She is so excited to have everything set up before her wedding! Our Family Friend is an award-winning home care company. They have an incredible team and a great big heart for caring for seniors. Their original website was not quite up to par with their quality of service and their reputation. I was hired to oversee the complete project from branding to developing the website to copy writing. And everything in between. It was a privilege to work with Dee Petry and her company. My first website design was my own. My music, speaking, and professional organizing are all featured on this website. I originally tried to work with a website design company, but what they were showing me was so far from who I am, and I had such a limited role in the process, that I decided to learn to design a website myself. I'm so glad I did! I would love to talk with you about your business and your website goals. Please click on the Consult Call link below to send an inquiry. I will email you a link to my calendar so that you can schedule a free 30-minute consult call at a time that works best for you.